When you decide to splash out a little and head out for a nice slap-up meal, you want to know that you’re getting the highest quality. Recommendations from friends, online reviews and the like can give you a general idea of how well-received that particular establishment is, but when it comes to cleanliness and hygiene, you should look towards the establishment’s rating according to the Food Hygiene Rating Scheme (FHRS). According to the UK Food Standards Agency, it is perfectly plausible for any and all establishments to reach the top rating of 5, so there really is little excuse for letting standards slip. 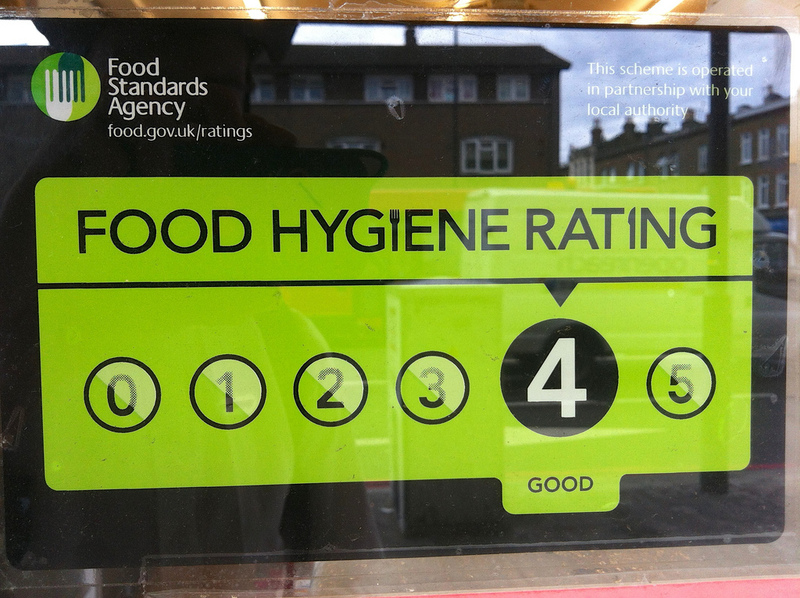 The easiest way to check the food hygiene rating of an establishment is to glance in the window, where you will usually find a small green & black sticker displaying the awarded rating out of 5. If this is not clearly visible, or you wish to check out an establishment before you arrive, you can also check the rating online using this link.